If there was ever a pop song that deserved to be a hit as an artistic achievement on all counts, I would vote for The Impression That I Get. It was a hit, but still, it needs to be said. So often, standing somewhere with piped-in music and hearing something that makes the ears cringe, we turn to anyone nearby, “Can you believe this was ever a hit?” The challenge is to think about the songs that were hits that really deserve it. For the most part, we are partial to beloved bands that have stayed in our minds, but it is worth paying homage to those really fantastic bands that accomplished timeless greatness, while maybe slipping from the global conversation. And the Bosstones are a truly fantastic band. They cover Detroit Rock City and Simmer Down. One male band member plays the… well, he’s the dancer (hey, that matches the mosh pit which is pretty much guys). Really, what more do you need to know? Nevertheless, great art only comes from a certain openness to the world and the experience of life. Normally, the idea of the closed-off artist conjures visions of some rock star locking themselves away in a hotel room, only to set foot outside it for performances on stage or in the studio. Really, considering the touring schedules and shear amount of work involved in maintaining a high level of skill at their chosen field, it is amazing that working musicians have time to do anything else. So, I am not talking about bicycling to your favorite record store or checking out local museums (which are good). I am talking about artists who become emotionally closed off from experiencing life in such a way that they can no longer transform their experiences into art that communicates with their audience. I suspect this is what we see when young artists become popular too quickly. Teenagers are generally so filled with emotions trying to get out that they don’t have a lot of time for emotions getting in. At some point, the artist stops making a connection and starts becoming a spectacle. This is what we get when we make our popular art a youth-driven phenomenon. To find a ska-core song specifically about empathy, that most important of all artistic qualities, is simply wonderful. 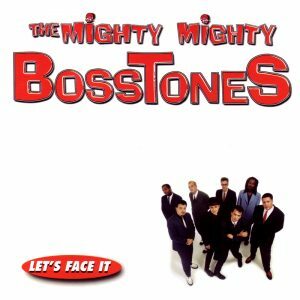 This is not the only Bosstones tune that demonstrates the heart within the art- these artists continue to move the ball a little bit forward for all of us. You’ve Got to Check This Out is a blog series about music, words, and all sorts of artistic matters. It started with an explanation. 227 more to go.